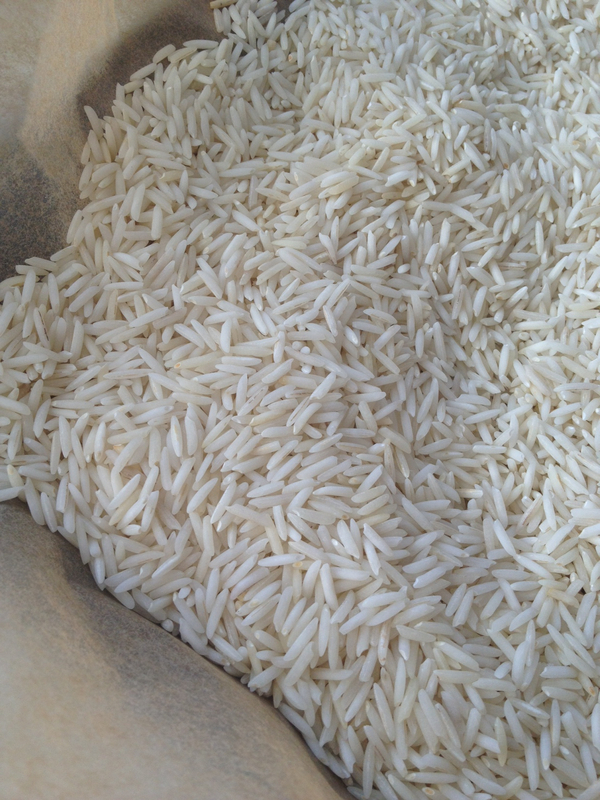 You may recall that a few weeks ago, I posted about trying my hand at tincture of basmati rice. 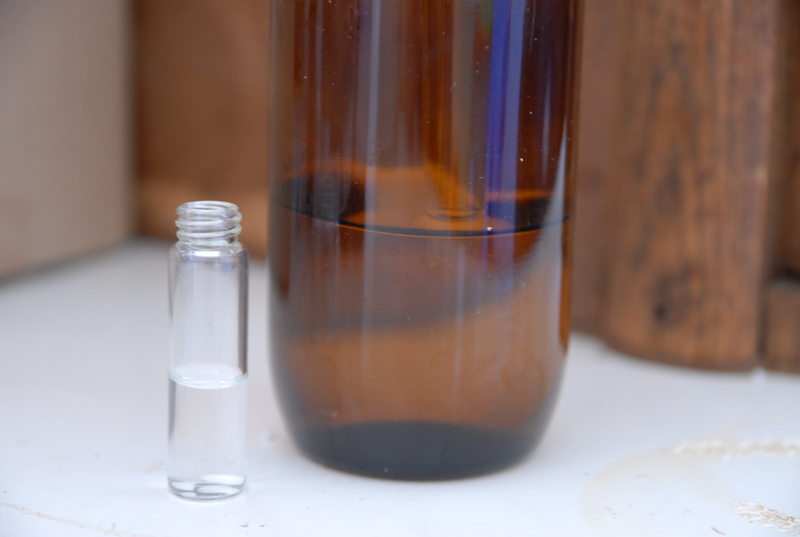 Well, today it has been filtered, and is now ready for experimention in our perfumes. 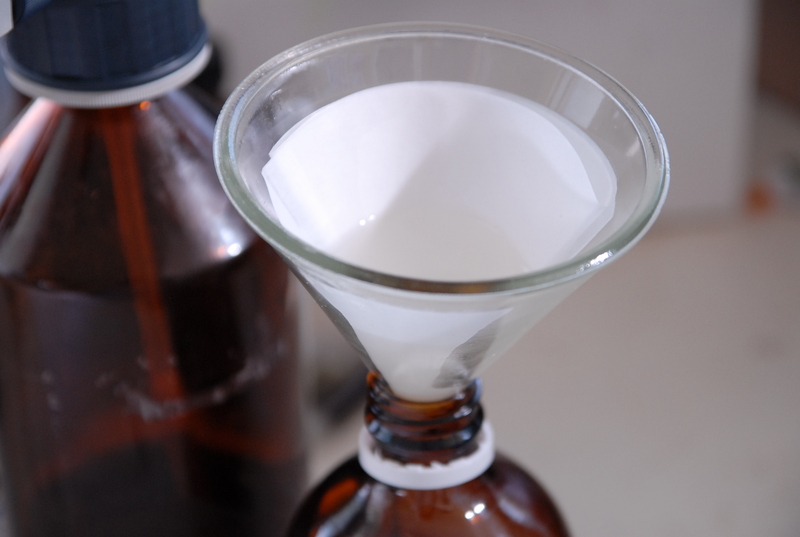 But before I begin that process, I thought I’d tell you about the steps to make this tincture, and about the final result. 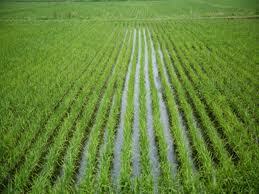 I started out with 500g of the best quality 100% basmati rice I could find (cost around $8 for the bag). I then lined a baking tray with unbleached baking paper, spread out the rice in fine layer, and roasted it at 120 degrees celcius for 15 minutes, stirring partway through to ensure even roasting. I was careful not to roast at too high a temperature so as too maintain the fragrance and gentleness of the aroma. After cooling completely, I half-filled a sterile jar with the roasted basmati rice, then added natural grape ethanol to fill the jar. The jar was left in a cool, dark cupboard for 3 weeks, during which time I shook it gently every few days, and tested the smell for potency. 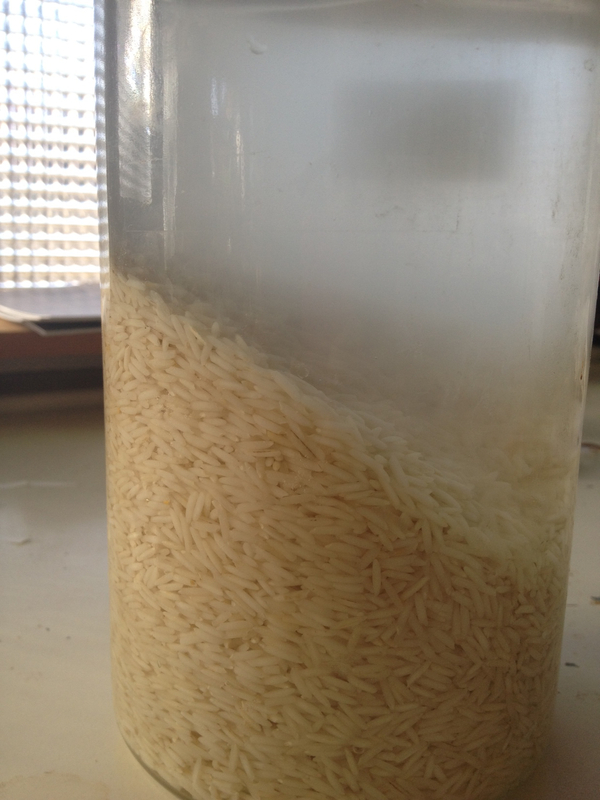 and here we have our final solution: tincture of basmati rice. Liz, you are so clever! WOW! POW! Can’t wait to smell what this becomes Liz.